I have a guilty pleasure. I love watching Dr. Phil. Yeah, yeah, I don’t care if the internet is ablaze with articles about what a quack Phillip Calvin McGraw is. There’s just something I like about a guy who will look at someone and not be afraid to say (literally), “What the hell is wrong with you?”. I’m also just fascinated with counseling in general right now, even though some of what Dr. Phil does stretches the definition of the word. He does usually offer his guest some type of assistance by the end of the show, and he does seem to genuinely want to help most of the time, even though many of his programs deal with topics that are clearly chosen because of their ability to get ratings rather than providing any type of useful service to the viewer. 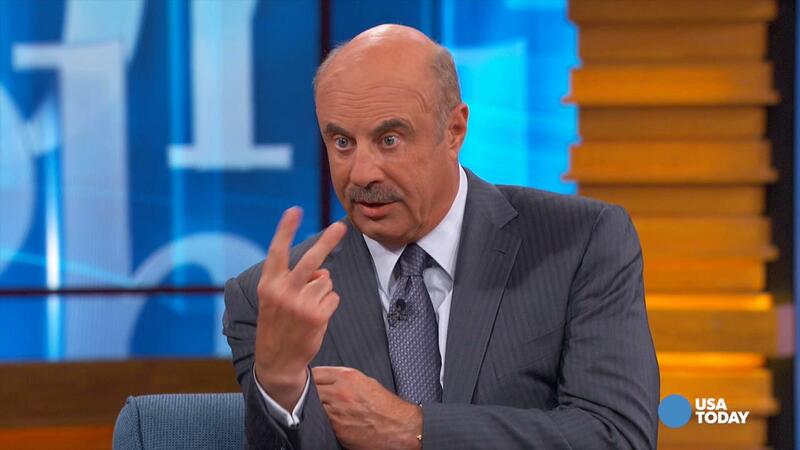 When I was sick near the beginning of this year, I gorged on Dr. Phil for nearly a week. You’d be surprised at how many weird hours of the day and night you can watch the program. It’s like television crack for me. I just eat it up, from the guests who are totally clueless about how messed up they are to the damaged human beings finding hope again to the way Dr. Phil’s eyes look like they’re going to pop right out of his head sometimes. There’s not much I don’t like about Dr. Phil. Of course, I said not much, which means, yes, there is something. I was watching the show yesterday, and suddenly a very distinct pattern struck me. Anytime there are guests with opposing viewpoints of a situation, one of them always winds up being the bad guy (or girl). For instance, yesterday’s program featured an incredibly disturbed teenage girl and her parents. The girl would throw screaming, jumping tantrums at home. She was borderline suicidal. Her brother could not stand to be around her. She looked like an out of control child. As the program unfolded, however, it was revealed that the girl’s parents were possibly even crazier (Pardon the term, but I couldn’t think of a better word.) than she was. They fought incessantly, sometimes abusing each other physically. They screamed and cursed at her. They had attempted to divorce three different times, but were for some reason, inexplicably almost, still under the same roof with each other. It also turned out that the girl actually functioned quite well everywhere else, except around her own family. Dr. Phil’s deduction was that the girl was an unfortunate victim of her surroundings, that her parents needed to get as far away from each other as possible, and that her only hope was to get as far away from these people as possible. I can’t say I necessarily thought Dr. Phil was wrong with any of his advice, but he may have blurred some lines with his techniques. He actually hugged the girl (whose face was never shown) at one point, which I would think is sort of a no-no for a psychiatrist or counselor to do during a session. More than that, though, he clearly went after the parents. Now, don’t get me wrong; these people were messed up. It was sort of unsettling, though, to hear the audience applauding every time Dr. Phil pointed out how they were screwing up their daughter. I can’t say I liked them, but I don’t know that they needed to be humiliated like that. This is where my chief problem with Dr. Phil lies: Most of the programs I’ve seen draw a very distinct line between who is right and who is wrong. The older I get, though, the more I’m beginning to realize it’s very rarely that cut and dried. Even in this case, I’m not sure Dr. Phil should have been hugging a girl who was jumping up and down and screaming at her parents when she didn’t get her way. I’m all for finding the root of a problem, but I do not believe there is always a villain in every story. Sometimes “the antagonists” lose their way, too. Should they be marched out in front of a national television audience to be ridiculed? Of course, even after saying all this, I’ll probably still be glued to the next episode of Dr. Phil I manage to catch. I will probably still cringe, though, every time the audience applauds and someone shifts uncomfortably in their seat because of it. Yes, sometimes people do bad things. I hope more of them will choose a private counseling setting for those to be brought to light, however, rather than facing the proverbial firing squad for all to see. ← How Can You Tell? To me, watching Dr. Phil is like watching soap operas – not good for my mental health.